The epic show Maharana Pratap marks its 200 episodes, celebrates with Grandeur. Contiloe Entertainment Pvt Ltd’s production “Bharat Ka Veer Putra – Maharana Pratap”,one of the most popular shows in Indian television celebrated its first anniversary, completing 200 episodes.This called for a big bash celebrated in full swing. It was a homecoming moment, the whole team Of Maharana came together as a family to celebrate their success story. 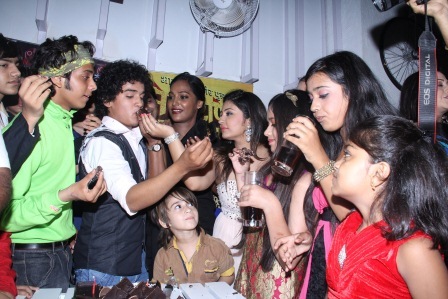 Notable celebs including the lead cast of the show were spotted in the event which includes Faisal Khan, Shakti Anand, Aashka Gorardia, Rajshree Thakur and Divyalaxmi. 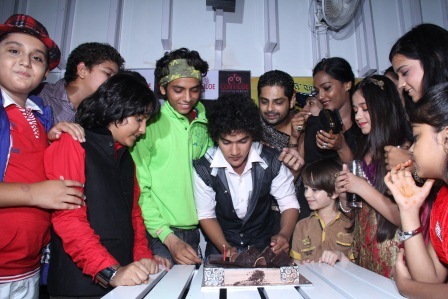 Apart from the star Indian Idol Rajasthani contestant Swaroop Khan was also seen having fun in the party. “It has been a remarkable journey full of joy and hard work by our full team. On their behalf I would like to thank the audiences and Sony for making this possible. We hope to continue this good work in the future.” said Mr.Abhimanyu Singh – CEO & Founder, Contiloe Entertainment Pvt Ltd on the joyous day.